Was Apple founder Steve Jobs a closet conservative? Some have called Steve Jobs the billionaire hippie, or the hippie with a business brain. As Bill Maher has said, Jobs smoked pot and did LSD. Jobs considered dropping acid one of the most important moments in his life, and he insisted that creative types who hadn’t dropped acid at one point in their lives could never be truly creative. He often walked through Apple without shoes, he didn’t bathe often, he washed his feet in urinals, and he existed for many years on what he called a fruitarian diet. He was also ambitious, a college dropout, delusional, egotistical, arrogant, tyrannical, and a self-described a whole (sic!). 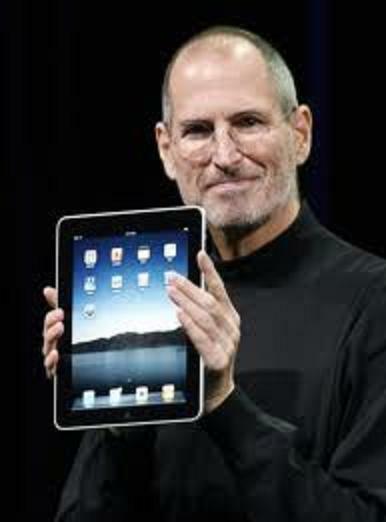 For all those interesting eccentricities, it is the politics and philosophies of Steve Jobs that fascinates most of us. Some have said that the creativity exhibited in the halls of Apple computers was an example of how hippie creativity could change the world when moderated by one with a corporate exec’s mentality. Others have said that Apple computers was one of the most controlled atmospheres in corporate America. Whatever the case was, Steve Jobs brought both mentalities to Apple, and he took great pride in the fact that Apple products combined liberal art with modern technology to change our world. “You’re headed for a one-term presidency,” he told Obama at the start of their meeting, insisting that the administration needed to be more business-friendly. Jobs proposed allowing principals to hire and fire teachers based on merit, that schools stay open until 6 p.m. and that they be open 11 months a year. Bill Maher on Steve Jobs:“I want to say one other thing about Steve Jobs – agree or don’t,” Maher said. “But, I know that he’s one of the few people who liberals and conservatives both like, you know, in the partisan country that we live in. And I just know that the right-wingers are going to try to claim him because he was a giant success. Please don’t do it, right-wingers. He was not one of you. He was not a corporate type. He was an Obama voting, pot-smoking Buddhist. He wasn’t one of you. So don’t try to claim Steve Jobs. On this note, some have said that Jobs was not a conservative or a liberal. “He was a capitalist, and the OWS movement has no problem with capitalism…just this form of capitalism.” Most of us are not sure what that means. Perhaps it’s too complicated for some of us to understand. Please see my blog for a full explanation on my confusion on the “complications” inherent in the OWS movement. On charity: Steve Job is quoted as saying that he didn’t believe in giving money away. When he came back to Apple, Jobs immediately eliminated many of Apple’s charitable projects. The report on this stated that Jobs believed Apple should be “focusing on developing new technologies as a better use of his and Apple’s time and money.” To be fair, when Jobs regained control of Apple, it was hemorrhaging money, so in the beginning it was just good business for him to end their altruistic efforts. Even after he brought them back in the black, however, Jobs didn’t re-establish their charitable arm. It is only now, after Jobs has passed, that Apple’s new CEO has decided to match employee donations to charity up to $10,000.00. Anyone who has read Arthur C. Brooks’ book “Who Really Cares: The Surprising Truth About Compassionate Conservatism” will unquestionably point to this as a sure sign that Steve Jobs was liberal. On altruism: Jobs didn’t believe in spreading the wealth around. In one situation in the Steve Jobs biography, written by Walter Isaacson, Jobs is reported to have withheld stock options from some Apple employees who had tenure. When confronted by one of Apple’s top executives on the matter, Jobs said: “You can give him some of yours. I’m not giving him any of mine.” In essence, Jobs wasn’t willing to simply spread the wealth around, as a recent politician told a man we call Joe the Plumber. Jobs only wanted to give stock options to those he believed had earned it. On prosperity and success: Jobs did not believe American prosperity and success should be created by bureaucratic planning boards. He believed it was created by shaping consumer driven markets from his corner of the market. He didn’t believe in listening or watching markets. He believed in creating them. On philosophy: As the Isaacson biography tells us when Apple cofounder Steve Jobs met Apple cofounder Steve Wozniak, Wozniak was perfectly willing to give the circuit boards he created away. Jobs tried to convince Wozniak that the initial circuit board (Apple I) he built had commercial appeal. Wozniak was not driven by money. He loved what he was doing, and he wanted to enrich others’ lives with his creations. Wozniak was competitive in that he wanted to create better products than those in the Palo-Alto based Hombrew Computer club, but even he confesses that he wasn’t looking much further beyond that. Jobs did. Steve Jobs basically said, why don’t we see if there’s a market for this? Why don’t we try to make a living doing this? “We could sell forty to fifty people,” he said. We can makes others’ lives better and make a buck on the side? “Even if we’re not successful,” Jobs said, “At least we could tell our grandkids that we had our own company.” In other words, Steve Jobs had an appreciation for entrepreneurship, individual initiative, and innovation. If Jobs were a dyed in the wool liberal, he would’ve kissed Wozniak and cried about the beautiful idea Wozniak was proposing of giving it all away for free. Instead, Jobs sounded more like Milton Friedman than Karl Marx when he suggested that the two of them could make money selling circuit boards. The contradictions and complexities of Steve Jobs cannot be nailed down in a simple paragraph or blog. Some would argue that Jobs fits the mold of the current liberal perfectly in that he was perfectly willing to vote for, and fund, candidates that gave away other people’s money, but not theirs. If one were to extend that mold to the manner in which one conducts business, however, Jobs did not exhibit liberal characteristics. For he never let his liberal, hippie sensibilities get in the way of business. He took drugs that altered his mind, but he didn’t take so many that they ruined it. He ruled Apple with an iron fist. Many feared his outbursts, yet he cried in front of them almost as often as he yelled at them. He hated corporate America, yet he ran a company many have called one of the most controlled organizations in corporate America. He was obsessive about detail, yet he funded political campaigns that he admitted made his job as a corporate executive more difficult. He stole innovation (from Xerox) yet he railed against those who stole from him. He demanded perfection from his employees, and he chastised them for their flaws, yet he was admittedly a deeply flawed man. For all of his flaws, however, he undoubtedly left this world a greater place than it was when he entered into it. Conservatives and liberals alike can learn a lot from the way he lived his life, ran his corporation, and espoused his philosophies.